Inspiration: New way to control your computer. 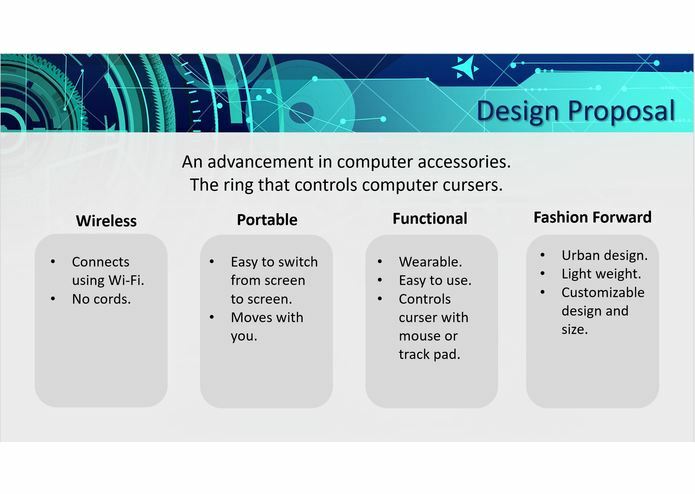 What it does: Is a wearable ring for your computer. How we built it: 3D printing and coding. Challenges we ran into: Limited materials. 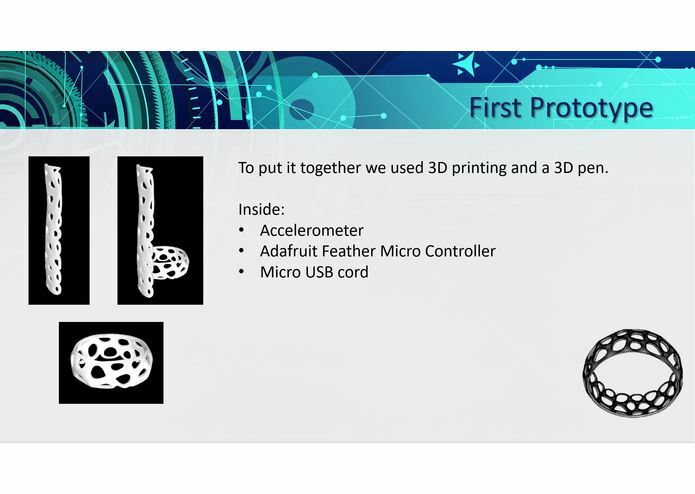 Accomplishments that we're proud of: Making a prototype that shows what it could be. I was the main coordinator of our group. I kept everyone up to date on what was going on. I also made the final presentation and made the different models of how the AirGloder could look. Using the Scribbler pen, I pieced together the hardwear with the 3D printed elements. This project was a great learning experience to explore different possibilities and new ideas. My focus on this project was centered around the design and fabrication of the physical product. From sketches to the digital model, I acted as the lead designer within the group. As a designer this project also gave me the opportunity to learn beyond my area of expertise. 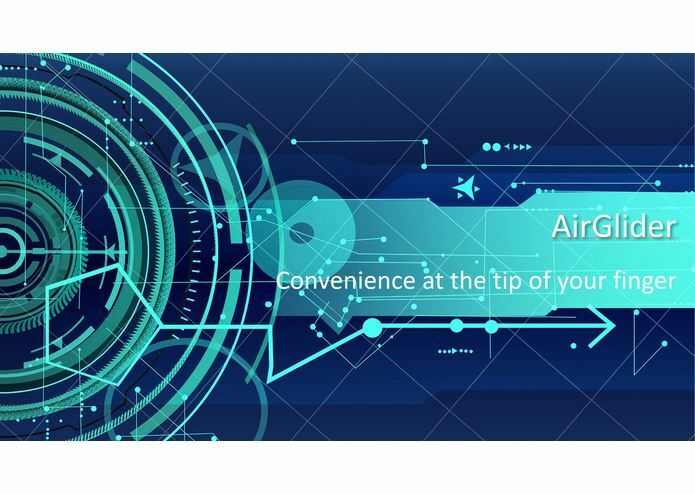 I believe I was one of the creative members of the team, I was the one that originally came up with the idea of the AirGlider and a myriad of other possible and functional ideas as well. 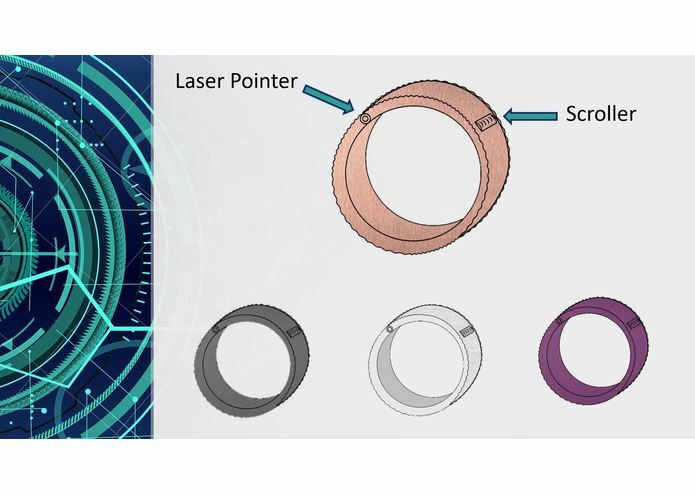 I helped with the design of the ring itself and the general layout of the prototype, I did not have a lot of background in computer science or coding so I couldn't help out as much as I would have liked to in those departments. I also helped with trial and error when we were trying out our AirGlider and helped with the presentation layout. I focused a majority of my time on development of the software and hardware. Because I had comparatively little skill on the presentational, marketing and fashion side of things, I decided early on to focus my energy on what would help my team the most, developing the physical product. 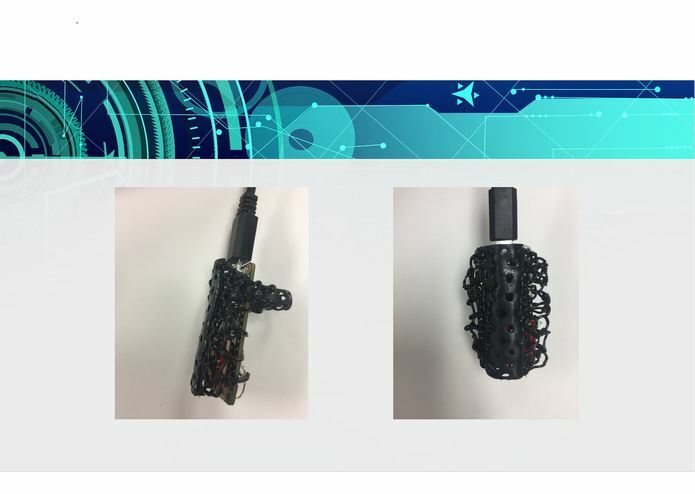 After lots of trial, error and help from mentors; I was able to produce a functional prototype based off the designs, ideas and feedback of my amazingly talented teammates. This experience has taught me TONS about teamwork like: how to efficiently split up work, how to identify and utilize people’s individual strengths, the importance of being realistic (but a bit ambitious) about your goals, and setting mini goals/milestones to show progress (even when it’s hard to quantify that progress is being made).